Heartwood golden yellow, light brown, red brown, or dark brown, sometimes with a greenish, purple, or red tinge, sometimes with dark streaks sapwood whitish, yellowish, or pinkish brown, well demarcated. Texture variable from fine to coarse; grain straight to interlocked or irregular and wavy; may have a silky sheen. 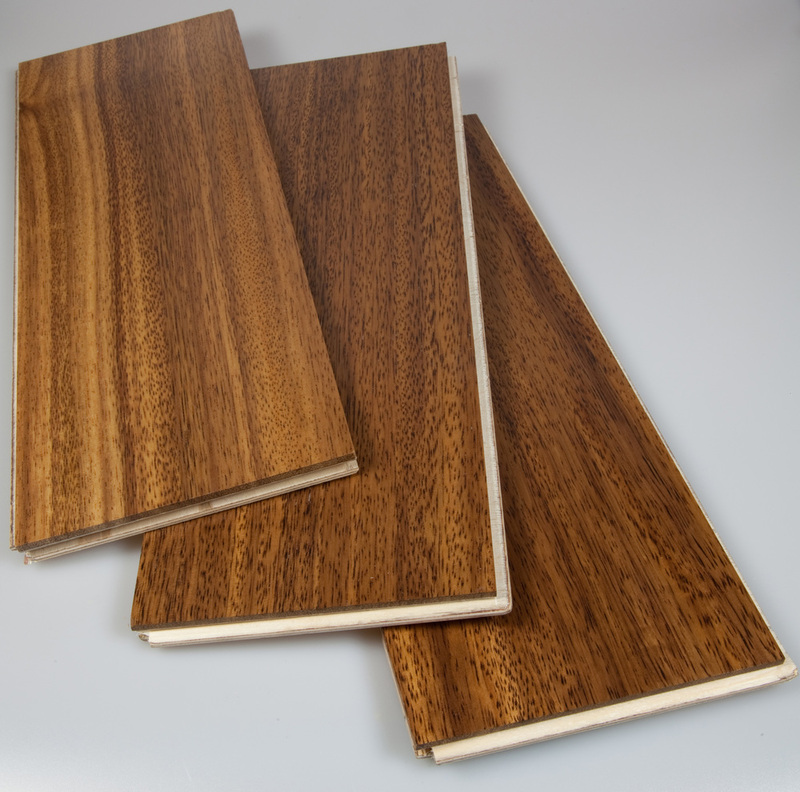 General Characteristics = Heartwood golden yellow, light brown, red brown, or dark brown, sometimes with a greenish, purple, or red tinge, sometimes with dark streaks sapwood whitish, yellowish, or pinkish brown, well demarcated. Texture variable from fine to coarse; grain straight to interlocked or irregular and wavy; may have a silky sheen; without characteristic odor or taste. Dust may irritate mucous membranes.